The NOAH Conference was held in London last week, and Jimdo was there. For the third year in a row, the feedback was resoundingly positive. No surprise there, as NOAH takes the concept of an 'ark' to a new level: bringing together the best and the brightest people from Europe's Internet companies, as diverse as they all are. Since NOAH is an 'invitation only' event, we were especially honored when Marco Rodzynek (the event founder) invited us to come. After a few emails back and forth, our attendance at the event was signed, sealed and delivered - as speakers! It was a bit nerve-wracking, too, since this was to be our first major conference presentation. Our first reaction to the conference was astonishment and respect that a three-person team was able to organize an event of this magnitude (1,180 attendees!). The talk itself was a lot of fun: explaining to a crowd of that size all about Jimdo, what we do and how we do it, and what makes us special. We got some great responses - people seemed to like that we're so passionate about Jimdo and believe in what we do. Feedback like that just makes you want to keep it up! We also had a few productive meetings and got to know some fascinating people. The icing on the cake was the aprés party, especially hanging out with the guys from MyTaxi, and Vanessa and Julius from PlayaMedia. It seemed to go on forever - and when it was finally over, we were the last to leave. 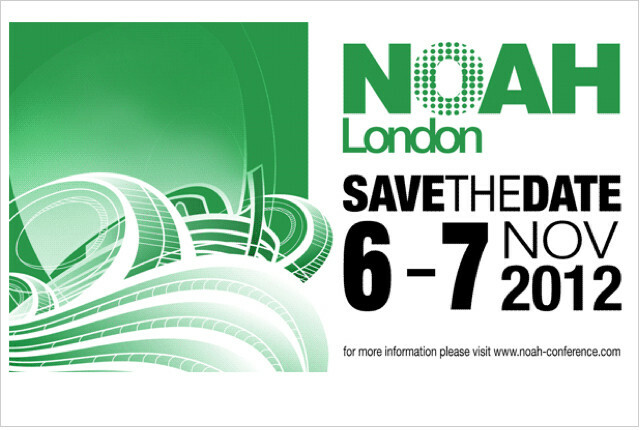 Here's to seeing all our new acquaintances again: maybe we'll meet up again at NOAH '12!